The Bible Doesn’t Say ‘Join a Church,’ So Why Should I? I have a friend who has been attending church regularly but is unconvinced about the need for church membership? He challenges, “Show me where it says in the Bible, ‘ Thou shalt become a church member. '” And truthfully, I cannot point to verse that says that one must become a church member. Nevertheless, I am convinced that church membership is spiritually advantageous and even compulsory for the believer. To say it another way, without church membership individual believers will not mature in their Christian faith, and local churches will be deficient of Spiritually-gifted members. Membership is a NT Pattern. When converts repented, believed, and were baptized in the book of Acts, they were added to the number of the church (Acts 2:41, 47). This means that the church in Jerusalem knew the number of believers in their church. So did the church at Corinth–how else could they assess when the “whole church” met together (1 Cor 14:23)? New Testament churches were comprised of members assembling locally, as evidenced by the church discipline in 1 Cor 5 and the recognition of members leaving the congregation (1 John 2:19). In order, for church discipline to work, churches had to be aware of their membership. Membership secures participation in the Kingdom of God. Jesus spoke of the church on two occassions (Matthew 16:13-20; 18:15-20), and in both instances, he stated that the keys to the kingdom have been given to the church. I take this to mean that spiritual access into the kingdom of heaven has been entrusted to the church. That is to say, the gospel message has been given to the church, and only the church foretastes and foresees kingdom realities. In this way, the church serves as the instrument of the kingdom. It is not identical with the kingdom, but each true, local church functions as a kingdom outpost–proclaiming the gospel of kingdom, partaking of the kingdom ordinances (baptism and the Lord’s Supper), enacting kingdom discipline, and demonstating what Spirit-led, kingdom life is like. Church membership matters because kingdom life is foreseen and ‘fore-tasted’ in the local church. Membership provides spiritual protection. God has appointed pastor-teachers to instruct believers and equip saints for the work of service. Moreover, pastor-teacher-elders are those who watch over the souls of the local church. It would be foolish to forego this ministry of mercy. As Hebrews 13:17 says, “Obey your leaders and submit to them, for they are keeping watch over your souls, as those who will have to give an account.” Likewise, church deacons are installed to help meet physical needs and to minister to saints in need (cf. Acts 6:1-7). And finally, church discipline falls into this category. None of us are strong enough to contend against the wiles of Satan. We need to formative discipline provided through the regular administration of the Word of God in the local church, but there are also times when we need the accountability of a fellow member to call us back to Christ. Even more powerful, we may need the unified testimony of the entire church to call us back to Christ. Church discipline is not merely a punitive action against a backslidden Christians; it is a means of protecting those sheep who wander from the fold. Satan has come to kill, steal, and destroy. He often does this through division and isolation! By submitting ourselves to the accountability of the local church in church membership, we are inviting the loving and protective correction of our brothers and sisters in Christ. This is a means of grace, intended by our loving God as a preserving force against our wicked and unruly hearts. Membership is for our spiritual maturity. Ephesians 4 makes it abundantly clear, we do not grow by oursleves. Just like the human body, we do not develop as individual cells soaking up nutriment in a petri dish. No, we grow, develop, and mature as we are united to the body of Christ (Eph 4:15-16). Church membership entails that we are in the proper context for growth. We are stretched to use our gifts for the corporate good (1 Cor 12:7); we are challenged to consider others more important than ourselves (Phil 2:3-4). All the while, we are benefitted by the gifts of others. Without membership in a local body, we are not guaranteed these things. Growth can happen in a weekly Bible study, a parachurch group, or through a school-sponsored mission trip, but without the dynamics of the local church, most of the growth fostered in these other arenas will provide only lop-sided or imbalanced growth. Moreover, the local church is the best context whereby we can exercise and obey the one another commands. (For a full list see my handout: ‘The One Another’s). Doing life together in the local church stretches us to grow in ways that no other man-made institution or intensive study program can. Membership is for our spiritual fulfillment. 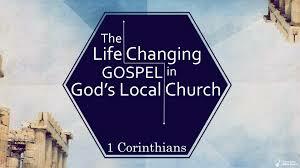 Membership in the local church is God’s intended platform for you to use your gifts, skills, and passions for the upbuilding of God’s church (1 Cor. 12:7). If you are born again and filled with the Holy Spirit, God has equipped you with one or more spiritual gifts (1 Pet 4:10-11), and truth be told, your greatest joys will come when you use your giftedness for the good of others! So, in order to increase your joy as a Christian, you should pursue church membership and serve faithful. As Jesus said, it is more blessed to give than receive. Surely, these five reasons can be added to and improved upon. I would love to hear your thoughts on why church membership is essential in the life of a Christian believer, or how God has convinced you of this truth from the Bible. It took me a long time to learn some of these things, and I am still learning…but I am learning with and in the body of Christ as a member of a local church. Good post and a good list. My own list for our church’s new members class is organized differently but basically says the same. I agree with you that church membership is vital. However, all except your first point I think assume someone is joining a good church. Unfortunately many churches do not provide points 2-5 and their church members have no idea. Many people incorrectly use being a member of a church as proof of their spiritual health. I think I would consider the idea that joining a church is similar to being in a family. We take on the struggles of being around other people we don’t want to be around all the time. We submit to loving them and serving them not because they love us well but because Christ has. Your reasons are why we should attend and be a ‘member’ of a local body, but I think say nothing to the point of going through a class and signing a piece of paper declaing yourself a member. You do that by how you love the people at your church. This is the truth. We will be judged acoording to the way we LOVED. We will be judged in a bad way for every time we didi not love. One does NOT have to “JOIN” a church they onlt need to DO LOVE in the church. Exactly. Going to a class and signing a “covenant” or something isn’t biblical. Be committed to a church, sure, but don’t sign a “covenant membership.” That’s a hallmark of a cultic church environment. How do I know? I’ve been there. Then why are only 10 percent of those that confess to be believers are truly born again,Who have little or no real understanding of the Bible ? Churches have failed ! I was raised BAPTIST & always was accustomed to the minister physically asking (when someone come forth to “join” the church) “do you agree to accepting this person as a mbr… any opposed? Show your acceptance by raising of hands…” Well, recently I started back to church (Baptist) & my husband who has always attended CHURCH OF CHRIST has been going with me. He now has raised issues to me about why the congregation would be asked to “vote” (as he put it) on whether an individual can join a church which belongs to GOD, not the people. He says there is nothing in the BIBLE to support voting on whether or not to allow someone to join. I’m not a big fan of this practice of voting someone into the church but it could be helpful if someone would be moving their letter because someone in the congregation could know something about the person moving their letter that could harm the fellowship of the church. The person moving their letter could’ve been excommunicated from another church for sexual sins or maybe molesting young children. The church needs to know these things. 1. Membership is a NT Pattern. => believers added to the ecclesia means they were added to the people of God, not to a local church service. 3. Membership provides spiritual protection => In Hebrews 13 there was a spiritual dispute among believers and the writer tells them to submit/not argue with their elder/discipler who cares about them . this says nothing about church membership, but it does encourage fellowship and discipleship. 4. Membership is for our spiritual maturity. => all those verses you quoted are not about membership but about fellowship and for close fellowship, like a family not a church which only fellowships once a week. It is talking about a fellowship in your neighborhood every day with your spiritual family surrounding you. This isn’t about church membership, that’s absurd. 5. Membership is for our spiritual fulfillment. => membership in a church/ministry is exactly what will DISCOURAGE you from using your spiritual gifts. where one man in an office called “pastor” is responsible for all the working of spiritual gifts while the “laity” sit quietly. But if you were fellowshipping with your neighborhood every day and discipling your neighborhood as the NT christians then your spiritual growth will increase 10 fold. all the reasons that you give are reasons to fellowship with christians every day, and not reasons to join a church. Infact by joining a church you will destroy your fellowship by traveling OUTSIDE of your neighborhood to spend a couple hours singing songs with some people you barely know. QUIT your church and start fellowshipping and discipling your neighborhood as the NT model. Good article. Visit my blog to look at the “cost” of membership. Just out of curiosity, in what context is the “church” referred in I Timothy 3:5? Without Church membership you can not serve and the Bible does comand us to serve. Can not serve unless you are a member of a local church?. Has anyone who is not a “local member” talked to a stranger about christ? Has a non member ever served on a food line.? I would like to know what you believe “serve” means. I think you are wrong because serving should take place outside the walls of a church building as much as serving inside the church building. You can help people come to know The Lord Jesus Christ in your community by having Bible Study in your home and many other ways. I’ve seen new converts allowed to teach Sunday School and they didn’t have a clue of what The Bible really said and meant. Southern Baptist congregations are really bad about this. You serve God by serving others. Are you saying if I don’t have a church where I live then I can not serve. You may want to rethink what you typed. God is everywhere, He is with us anywhere we go, and we are to serve everywhere we go. You are following man’s traditionst not the word. How do I know? well what you said is not God’s word. That was my take on it, until I began to realize that the predominate usage of ekklesia (“church”) in the New Testament is speaking of concrete gatherings of believers. In other words, Paul didn’t write his letters to the church at large. He wrote them to the “church at Corinth” and so forth. Moreover, lasting relationships do not exist with the church universal, but with the local church. Of course, you can love, serve, and give to those outside your church. You should. However, if you really care to grow in maturity–the kind of self-sacrificing maturity that arises in marriage, not dating–than you need to join a church and say “I covenant with these people to love God and them.” Moreover, if you are learn how to submit to leadership (cf Heb 13:17)–to give one example–you must submit yourself to a particular church, particular leaders, where submission is hard. Amorphous Christianity that ignores or denies membership does not require this, and deprives Christians from a vital component of spiritual growth–namely accountability and the demand to submit to fallen leaders. Read 1 Peter 5:5. This is counter-cultural and it flies in the face of our cyber-church age. However, if you take time to read in the NT every place “church” is used, I think you will find only a handful of places where the church is described universally (Eph 1 for instance). More often, the church takes on a particular place, name, and people. This doesn’t prove “membership,” it only stresses the point that to have meaningful Christianity, you must have meaningful and enduring relationships, which membership fosters. The take away must be from the percentage of NT usages that we are called to live in covenant communities that regularly assemble with one another, where we can manifest the “one anothers.” Think of it as optimizing your spiritual life more than being forced by law into a binding contract. It is much more like marriage than dating, because the former always exposes and opposes selfishness whereas endless dating (in relationships or church) makes conditions optimal selfishness. God wants you to join a church because it will show you how non-commital you (and I) are. I hope you will consider doing a concordance search on “church.” It will be a fruitful endeavor, whatever you decide. And more than that I hope you are a church member, for you cannot love Christ and not love his bride. I believe we should serve in a local body of believers but if you depend on just the local body to muture in The Lord Jesus Christ you will not grow. A Christian must study The Word Of God at home because if you go to church on Sunday morning,Sunday night and Wednesday night you get about five hours of church a week and now days most of that is fellowshipping not Bible study. Teachers now days don’t take the time to study before trying to teach others because their jobs are more important to them. Not many gray hairs are asked to teach because they take their teaching to seriously and young people just aren’t that interested in learning are understanding The Word Of God because getting more grown up toys are what they are about. Sorry but after 32 years in a Southern Baptist Church that is how it is nowadays. I suppose what everyone is saying is that if someone attends a local assembly for say 20 years but never pysical joins the memebership then he is not following bible teachings, even if this person provides his or her attendance, offererings, assistance and prayers? What about Mattew 5: 33- 37 and James 5:12 ? NT model of church – when you are a true believer, you are part of the “Church” as you are part of the body of Christ Eph 5:25. You don’t need to join by doing anything except to truly receive Christ as your savior. The “Church” in NT is to serve believers not the other way around to serve the “Church” as members. Look at the example of choosing deacons at the first Church in Acts. So when Jesus fed the 5,000, since the bible specifically states 5000 men, was there some sort of ‘diners club’ membership going on there? Church membership is not ‘essential to the believer’…Christ and His saving grace are, period. If the premises you laid out here are true, then the inverse would be true as well: that those who have not gone through a formal membership process are not secure in their participation of the kingdom, are not provided spiritual protection, can not obtain spiritual maturity nor spiritual fulfillment. This tradition based thinking is why James warns us about partiality and making distinctions amongst ourselves. Membership does not equate to submissiveness, accountability, discipline, and especially church attendance….if so, our churches would be filled to,the rafters every Sunday by those on the roll. Galatians 3:28 “There is neither Jew nor Greek, there is neither slave nor free man, there is neither male nor female; for you are all one in Christ Jesus”. Since God has united us in Christ we better be sure not to re-divide his sheep, and make distinctions among ourselves. This fosters a spirit of elitism and pride; two of the six things which God hates (Proverbs 6:16-17). There’s only one household here. There’s only one faith here. The ‘especially’ refers to all believers, not just those in your ‘local’ assembly, but to those in the household of the faith. And this is to be done ‘while we have opportunity’. Would the Roman believers have thought that Paul was limiting devotion, preference, and giving, to just the saints in their local assembly? Since we are in Christ, we are ‘members’ of one another (Eph 4:25), and these things were to be done for ‘one another’ or the ‘saints’. 1 Corinthians 12:24-25…But God has so composed the body, giving more abundant honor to that member which lacked, that there should be no division in the body, but that the members should have the same care for one another. In today’s Churches menbership seems to be more important than being truely born again which is what a person needs to be before he or she can enter Heaven. Most honest pastors will tell you that the majority of their congregation are lost. Billy Graham once said that he believed that 85% of the organized Church in America was lost. Just look how most people in The Church act you really can’t tell them apart from the lost world. Gods Word says come out from among them. We’re to be set apart from the world not a part of the world. When Church membership is pushed more than being born again is we end up with The Church being run by lost people who believe more in programs than preaching The Word Of God to reach the lost. Acts 2: 45 And sold their possessions and goods, and parted them to all men, as every man had need. Do you really think this occurs in today’s “Church”? the Bible does not specify of joining a church building..according to the Scriptures your body is the temple which is actual the church. Jesus says that we must be baptized so on that note if you are baptized if you truly believe that Jesus is Lord that Jesus died and rose on the 30 day and that Jesus is returning then you are truly safe….back when the original church was founded Christians met secretly whatever they could..to say that you must belong to a church because that identifies your belief in Christ is not accurate there’s a lot of demonic people sitting up in the congregations that has been baptized that’s working on the church payroll that serving in the church building that are not truly saved and has not truly repent so to say that’s the only way for you to get into heaven is by physically getting on the church books as a member I’m sorry I can’t believe that’s true..once again your body is the temple your heart is what God looks at and if you truly believe that Jesus Christ is who he is and that he has died for your sins and he has forgiving you that’s what matters about being a Christian.. no I’m not condemning anyone that feels they want to join a church but once again there’s nothing in scripture that says you must belong to a church building you are to belong to the body of Christ to fellowship with other believers that does not indicate being a part of a building..now someone show me in Scripture where it actually speaks about joining a church building other than joining in the body of Christ with other believers and without twisting the scripture to make it sounds like is talking about actual physical building. I’m so glad this thread came to a close, this is all so sad and all so ridiculous. Whatever word you’d like to use, to be a part of a particular house, membership, family, congregation of believers, whatever; the arguments against being a member of a church, is sprinkled with atheistic philosophy. The first thing that the enemy wants all believers to believe, is that there isn’t a devil; the next, we don’t need to commit to a local body, next we don’ t need the 5-fold ministry, that was given as gifts to equip the saints. We don’t need apostles, evangelists, prophets, pastors, teachers. All we need is google! Wow….it’s true, when we debate the Word, it destroys its beauty. The way I got on this page is by a fellow Christian believer nagging me what needs to be done in order to walk the Christian walk correctly. Being open to examine what is of God I got on this website. All I can say is what God has told me and there are a lot of convincing posts either way, that I don’t belong to any Church but to the Church of the Body of Christ. I do have a homechurch a very loving not old school but Jesus school church where my tithes goes to, but I am not committed to be there every Sunday. I go to different churches and I don’t get stuck with any Pastors or churches in general teaching but stay open and the most important stay critical and not comfortable just being fed by one pastor, by one church. it is good not to be closed to what people say but in the end all that really matters is what God tells each one of us. I like what I read the other day and it seems like it is necessary to say sometimes to fellow believers is “Just because my path is different doesn’t mean I am lost “. God bless you all.